Hidalgo is an incredible central state of Mexico, founded by Benito Juárez in 1869. This state has incredible history, traditional food, an amazing outdoor lifestyle, and most of all, absolutely stunning scenery. From its busy capital Pachuca, to the luscious forests of El Chico, this state has something for everyone. Hidalgo is divided into 84 towns, making it impossible to visit them all. 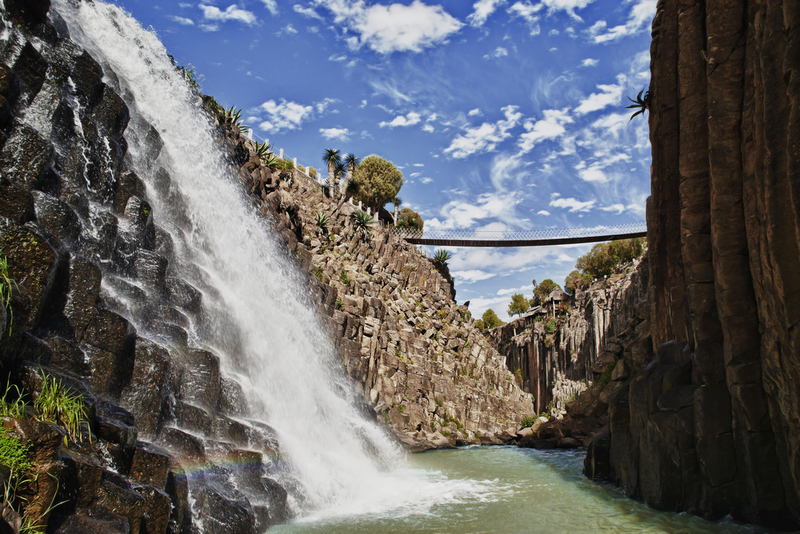 That’s why we have created this comprehensive list of the must see towns of Hidalgo. This bustling city is the capital of Hidalgo, and serves as a metropolitan hub for the more remote towns in this amazing state. There are so many things to see and do in Pachuca, from sampling the traditional Santa Clara Ice-cream, to admiring the fabulous colonial buildings. One of the most famous buildings in Pachuca is the Monumental Clock, which can be found standing proudly in the Plaza Independencia. 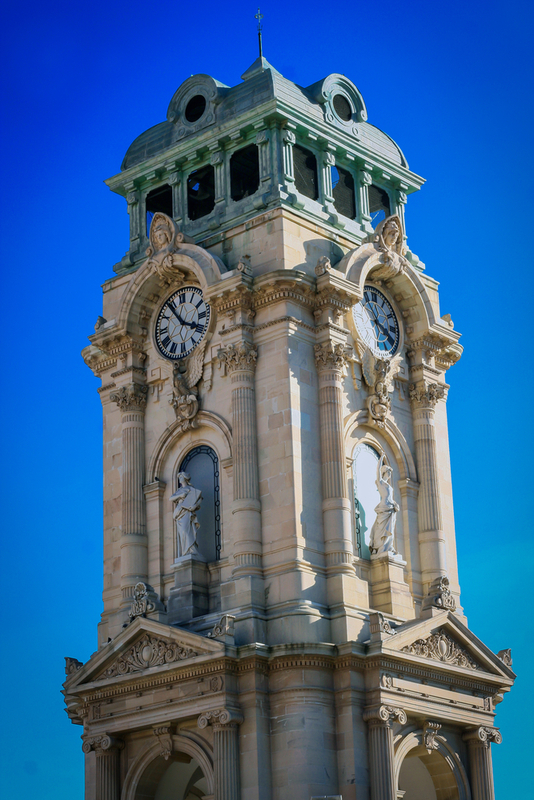 This neoclassical clock tower was built in 1910, containing the exact same clock mechanism found in Big Ben in London. 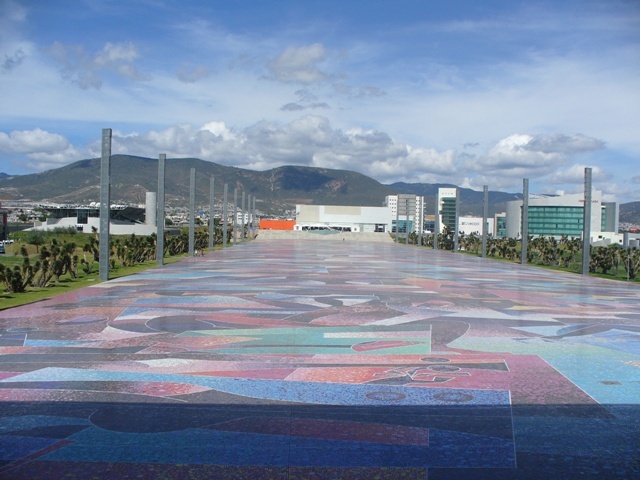 Another must see while in Pachuca is the stunning Parque David Ben Gurion, an outdoor, multicoloured mosaic floor, complete with auditorium. This jaw dropping piece of art spans over 26 hectares, and is made up of 7 million mosaic tiles. From the air Guiron’s masterpiece is like a colourful streak across the green-grey landscape of Pachuca, but from up close it’s absolutely breathtaking. From one piece of art to another, a newly popular attraction in Pachuca is the extremely colourful Cubitos. This unusual neighbourhood used to be one of the poorest places in Pachuca, so in an attempt to bring a new lease of life to the area the Government had every house painted in bright colours. There’s absolutely no brick or surface left in its original drab colour, every single inch of the neighbourhood is painted. Climb the many coloured stairs to the top of the neighbourhood and you will be rewarded with panoramic views of the entire city. This cute little mining town is nestled in the southern mountains of Hidalgo, and is home to one of the richest histories in the state. With its beautiful 18th-century buildings, old mining roads, pretty red-tiled roofs and unbelievable silver artisanry, this is one town not to miss when in Hidalgo. Real del Monte is best known for it’s delicious, piping hot pastes! This town is covered in family owned paste shops, and you can really feel their pride in this signature dish. Real del Monte can get pretty chilly at night, so digging into a traditional paste is the best way to heat up. 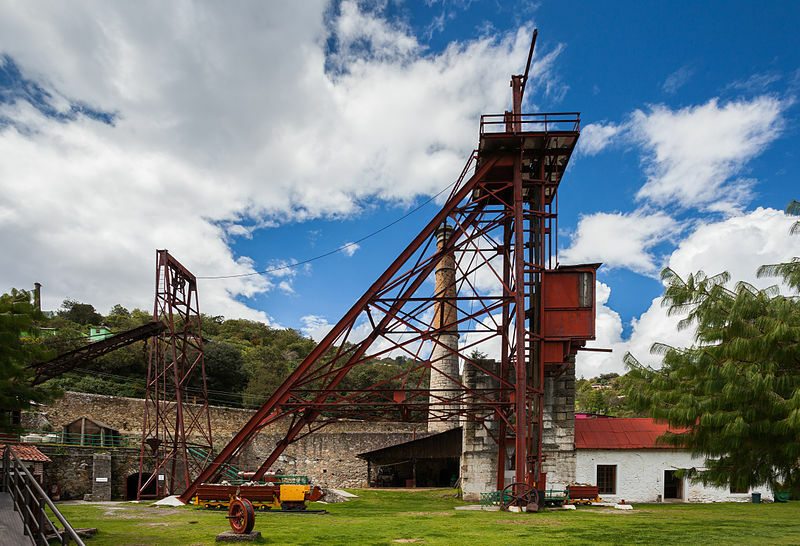 Besides pastes, this town is also known for its rich mining history. With the first mine opening in the early 16th century, and the last working mine closing its doors in 2005, mining makes up the very fabric of Real del Monte. If you want to learn more about this fascinating history, then you can pay a visit to one of the old mines, and take a guided tour. The best tour is in Mina de Acosta, the last mine to close in Real del Monte, where you can wear the traditional headgear and venture deep underground. El Chico is located only 40 minutes from the busy city of Pachuca, but it feels like a completely different world! This sleepy little town is surrounded by luscious green forests, steep mountain roads and more natural beauty than your heart could desire. El Chico is a true outdoor lovers paradise. If you wish to really get back to nature then you can camp in one of the many designated campsites, or you can opt for the log cabin experience. There are so many amazing activities in El Chico. Whether you’re into mountain biking, hiking, trail walks, waterfall chasing, horse riding or rowboats, there is something here for everyone. In season, you can also take guided tours up to the famous Las Monjas mountain. From the top you will be greeted by some of the most stunning views in the whole of Hidalgo, and some say of your life. Huasca de Ocampo is a stunning town, in the Sierra de Pachuca Mountains. This town is famous for it’s fresh trout dishes, served in almost every restaurant in the area. 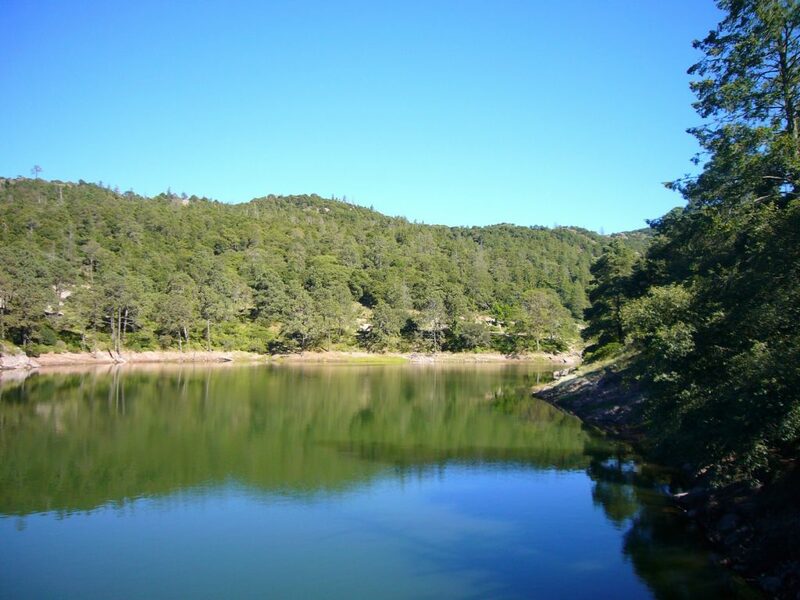 The trouts most commonly come from the Bosque de Las Truchas (Trout Forest) located to the north of town, but can also be caught in the nearby lakes. However, Bosque de Las Truchas isn’t all about the fish. In this Eco park you can also horse ride through the mountains, zip-line through the trees, sail on the still blue lakes or take scenic stroll through the stunning countryside. Probably the most famous attraction in Huasca is the legendary Basaltic Prisms. These natural phenomenons are only found in 4 different places around the world, and the biggest, most impressive formation is here in Huasca. People travel from all over Mexico to gaze upon these amazing rock formations, and be splashed by the fresh waters of the gigantic waterfalls. When visiting Huasca this is definitely one place you don’t want to miss. Hidalgo is one of the incredible, historical cities of Mexico. Go a a Latin America Adventure and let Chimu Adventures create a tour according to all your wishes. Visit Mexico and all awe-inspiring highlights of South America. Click here for more information about Chimu.